← Who are the losers in the merger of psychology, medicine and business? Psychiatrists caution against assigning personality disorders until at least age eighteen. Yet it can’t hurt to watch for tendencies toward symptoms associated with disorders – especially regarding narcissistic personality disorder (NPD). Of course, before looking too closely at children, parents should examine their own tendencies toward narcissistic behaviors. These attitudes, outlooks and behaviors rarely appear in children without adult examples. They are more commonly modeled by parents for children to emulate. The parent who always insists on being right or knowing morethan others, should not be surprised if his or her children display the same behaviors. Parents are in higher risk of raising children to be narcissistic when they fail to correct (in their own lives and in their children) behaviors and attidues associated with the symptoms of narcissism. I am inviting parents to take inventory. A narcissistic life is both personally destructive and harmfully disruptive to relationships. Believes that he or she is special and unique (can only be understood by, or should associate with, other special or high-status people or institutions). Parents should avoid doing things that display these narcissistic ways of thinking and behaving. They are also wise to correct tendencies toward these behaviors in their children. Overly indulging parents, for example, who jump at every request of a child are actually encourage narcissism. Parents sometimes think this is a way to model servanthood to children. This will more likely teach your children that the world centers on them and their demands. But the world we’re sending them into won’t jump for their every wish. This kind of overindulgent parenting will only set children up for self-destructive expectations and broken relationships. Correcting selfish behaviors and attitudes in our children is an act of true love for your children and for their future relationships. Honest words of encouragement and compliment are important for our children. Our children need to know that we are confident in them. Help your children see themselves as valuable beings made in God’s image. Encourage your children in their gifts and strengths, but always in context of humble appreciation toward the Giver of our gifts. Challenge your children to use their gifts and abilities to help others. Be careful not to wrongly judge self-confident people as narcissistic. Narcism is not about confidence in public roles, but distorted versions of reality regarding self. Quiet or seemingly shy people can also be narcissistic (hypochondriacs are classic examples). The flag of narcissism flies high when people are self-absorbed or self-assertive in arrogant and condescending ways. Don’t be the parents who overindulged a child’s sense of personal beauty or talent. This will lead to self-deception, narcissism and social dysfunction. It’s also a sure path to marital misery! Are you encouraging narcissistic symptoms in your children? Are you (as a parent) modeling narcissistic behaviors? Do you always have to be right or to know more than others? Be careful not to overreact in detecting symptoms of narcissism in children. Our common fallen nature has a powerful and deceptive gravitational pull toward narcissistic ways. Yet for the sake of the children and society at large, let’s deal wisely and directly with narcissistic symptoms in ourselves first, then in our children. This entry was posted in Athletics, Behavior, Change, Character, Conceit, Counseling, Depravity, Difficult people, Discernment, Family life, Gospel, Gospel-centered, Human depravity, Human dignity, Humility, Jerks, Narcissism, Narrative, Origin of Sin, Parenting, Parenting teens, Self esteem, Self love, Self-deception, Selfishness, Social Networking, Social Networks, Spiritual Detox, Spiritual growth, Spiritual inventory, Spiritual transformation and tagged Discipline of children, Family, Fathers, Mothers, Parenting. Bookmark the permalink. 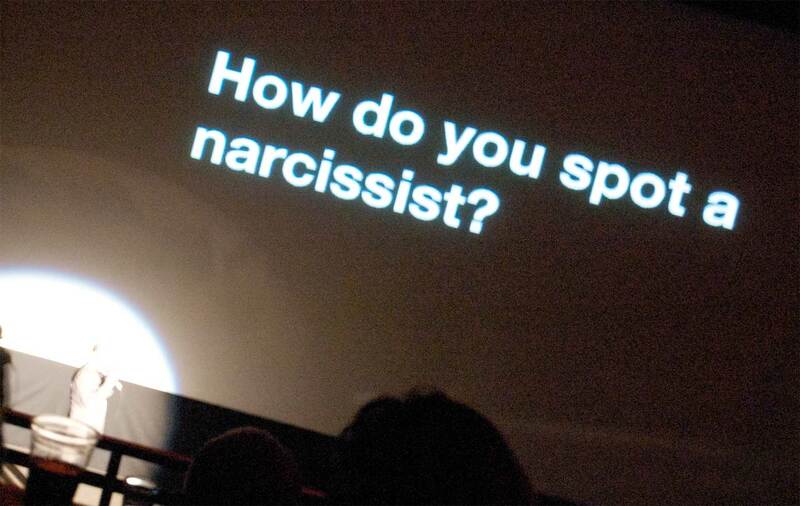 13 Responses to Are you raising a narcissist? Dear Pastor Cornell. Thank you for sharing this article. Not too long ago, I learned that a Narcissistic Personality Disorder is the root cause of domestic abuse… How enlightening it is to know and spot these tendencies early in life so they can be dealt with appropriately. It makes sense that the child learns these traits being passed down to them through observing their parents’ example. However, the double edged sword of every “psychological condition” is that it is a tagphrase pasted on a behavior in a way requesting to be validated by external (or politically motivated approval or disapproval). When God is the heart of the matter, and religion as is such the case, then the heart of the individual somehow gets lost in this viewing as we aim to grade the intentions of its’ bearer as good to a fault or bad to the bone. How vain really that anyone should take the place of God in this judgement of the human heart. Any instructive benefit of these psychological/ spiritual/ social tools ought to be seen, rather, as mere TOOLS; ways in which we can either, as a team or introspectively guage our behaviour in order to lift ourselves up, empower others and benefit the community as a whole with knowledge. Otherwise the purpose of having these descriptors (which should provide comfort, understanding and empathy….and not condescension, mistrust and avoidance) would not be of any worthwhile cause or significance. Laugh and try to move on with your head up. I see your point and agree that all labels without compassion and humility are potential food for social cannibals (see: https://thinkpoint.wordpress.com/2011/04/05/social-cannibalism/) . Yet we need some labels to expose certain behaviors and attitudes for what the are. But true love (the goal of all who desire to live God-like lives) does not delight in evil and always protects, trusts, hopes and perseveres (see: https://thinkpoint.wordpress.com/2013/01/17/put-your-name-in-place-of-love/). Thanks for commenting! Here’s one especially for parents. Awesome job, Pastor Cornell. I did not know that pastors had time for online stuff. What a thoughtful and excellent way to reach out. I remember learning about Narcissistic Personality Disorder in my psychology class. You were very right about this type of personality causing domestic problems. I know a few families who have gone in for counseling. Some are ready for a change only with severe intervention. Please continue the good work and God bless you. I agree with a lot of what you state in your article, but I do not agree that “overindulgent parenting” is the source of the problem. There has been a recent article that veers toward that same line of thought, but please be aware that God alone knows the source, and without Him, we run the risk of creating spiritual monsters in the likes of narcissists, disobedient, ungrateful, unholy…2 Timothy 3:2. I lived with someone who had the strongest NPD symptoms imaginable…I do not believe he had overindulgent parents…I believe he was abused. We can all come up with a possible cause, but all that is important is that we raise the gifts that God has given us, for Him alone, leading by godly example, dependent upon the Holy Spirit to give us wisdom and discernment. While this article is filled with sound parenting advice, it misses the mark concerning NPD. My father has NPD. When my sister got married he demanded to be allowed to bring a date we had never met. My sister said she was not comfortable with this. He did not attend the wedding, instead sending all his children letters stating that he was going to sue us for slander. We, unanimously decided to have no further contact with him. I began to research why he would behave this way and discovered NPD. All the symptoms are there- sense of entitlement, we were only useful if he could show us off to others, and narcissistic rage. My father was the 8th of 9 children in a very strict Catholic household. Children were expected to submit to their parents wishes and were meant to be seen not heard. None of his siblings have NPD. On the other hand, my husband’s nephew is an only child whose parents are kind and decent but superficial keep up with the Jones’s type. He is 13 now and yes he is a sheltered introvert but does not display signs of NPD. What this article describes is egocentrism which should not be confused with narcissism.